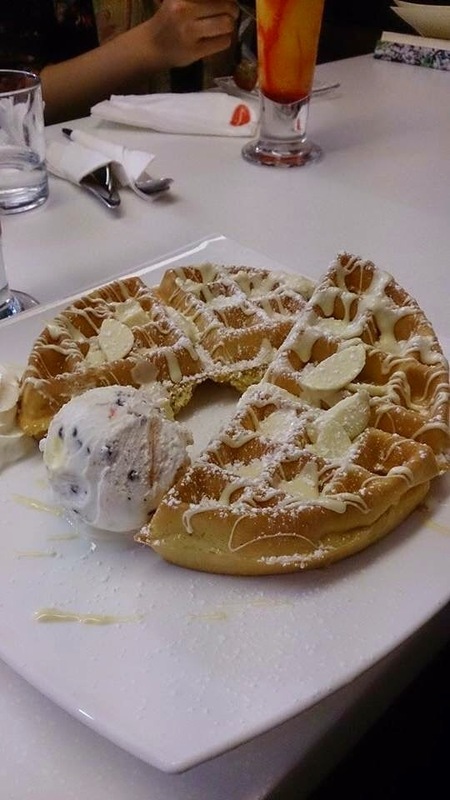 Heavenly Desserts - Derby City Centre. Stressed is desserts spelt backwards. I've been wanting to come here for quite a while now, so when me and my friends Emily & Rachel wanted to meet up for a girly chat, it was the perfect opportunity. A whole shop, dedicated to desserts is a very American concept to me and seems to be becoming more and more popular in the UK. You can takeaway or eat in. We ate in. The smell as you walk in is incredible and you're greeted by an attractive looking range of ice creams. This place is rather small inside and is very popular so we had to wait for a table and were given menus to look through whilst we waited. Luckily it wasn't that long as a table were just paying. There is seating outside along with patio heaters but it was a little too cold for all that! We were seated by the waitress and were left to browse the desserts. 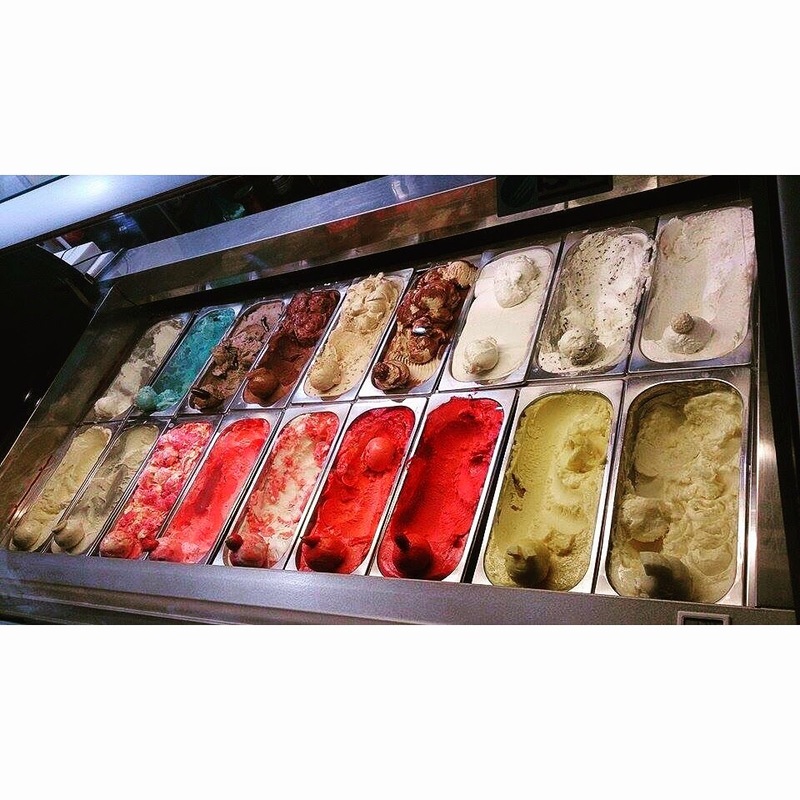 I've never been so spoilt for choice dessert wise. The menu was very big! It was a hard decision to make as for what to have, I didn't want to order something then wish I'd had something else. 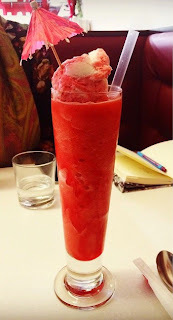 To drink I had a raspberry flavoured mock tail which came toppled with a scoop of sorbet and a little umbrella! Very nice. I would have one of these every day if I could! Refreshing. Emily and Rachel had mock tails too. I eventually settled on a 'white kiss' as my dessert. Belgian waffle topped with white chocolate shards, melted White chocolate, whipped cream and stracciatella ice cream (basically vanilla with chips). The portion sizes were very generous but I had no problem getting this down me! I loved it! Emily chose the same as me, along with a white chocolate shot. Basically a shot glass filled with the melted white chocolate. She said it was lovely. 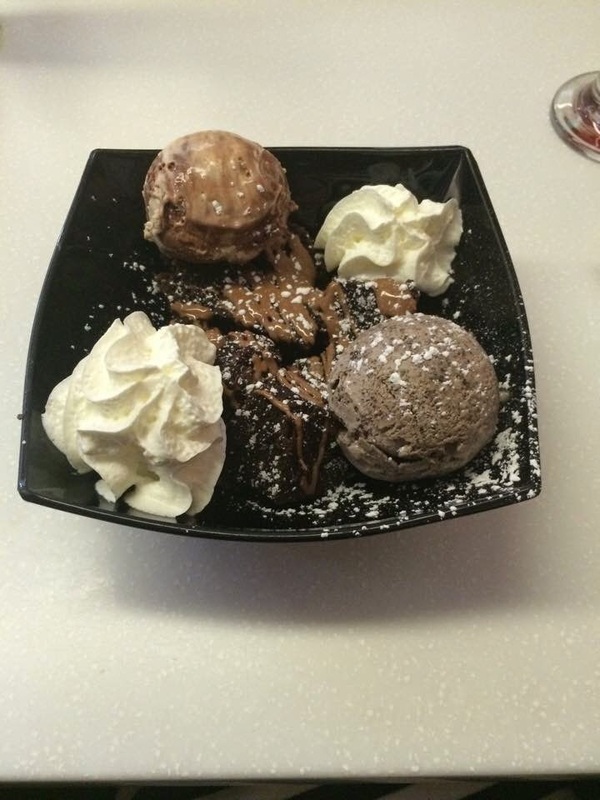 Rachel went for a 'Brownie Explosion' which was brownie pieces, chocolate sauce, ice cream... I'm sure you get the picture. We all had a great time here, the food was delicious and I think I would go back if I get chance. I can image that it can get busy at certain times here, so there may be a wait for a table so I'd probably only revisit off peak. We visited on Thursday night which meant that parking in the Intu Centre was only £2 after 6pm.